Gunar Weichert was born in 1957. He graduated as Electric Engineer at the University of Koblenz. ( Germany ). He started Training in the year 1974. Gunar graded Shodan in 1983. In the year of 2013 he awarded his 7 th Dan. For more than 10 years he is President of the Rhineland Palatinate Karate Federation. Since many years he espouse for Shotokan Karate. Gunar is responsible for Shotokan Karate of German Karate Federation since 1998. Down to the present day he to participate actively for Shotokan Karate. 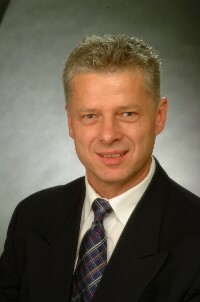 Many years he is present on all ESKA Championships, as member or as trainer for the Germany Karate Team.